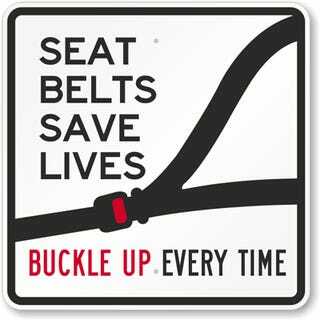 Folks, there is no excuse, none, for not wearing a seat belt. I lost an aunt many years ago in a survivable accident who wasn’t wearing a seat belt and then you see something like this where a whole family was thrown from their vehicle in a roll over. Father killed, mom and kids in serious condition and a little girl who was lucky enough to find a little distraction in the arms of a compassionate police officer. Put the belt on. Make sure your kids are belted. There is just no excuse.